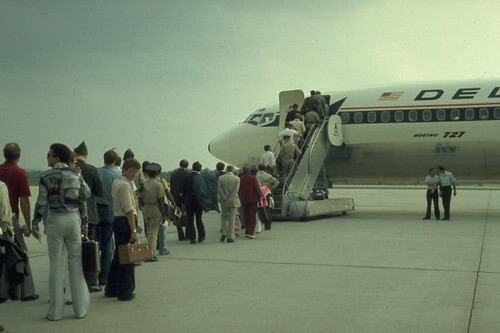 The following is a guest post about small business travel. If interested in submitting a guest post please read my guest post policy and then contact me. To say it’s been a bumpy ride for the global economy in the past few years is an understatement. It’s been a long, hard journey and while some businesses have managed to stay afloat – and even profitable – during this time, others have not fared so well. However, after a few turbulent years, talk of growth is finally in the air. With the International Monetary Fund (IMF) expecting growth of 3.7% this year – the highest since the crash – the world economy is showing encouraging signs of recovery, and with GDP expected to recover to pre-crisis levels of income this year the UK is expected to do well out of this. The role that small business plays in economic recovery is increasingly under the spotlight. SMEs (small and medium-sized enterprises) are widely accepted to be a barometer of an economy’s overall health. When small businesses thrive it means that growth is moving in the right direction and that commercial activity is increasing. According to the director-general of the British Chambers of Commerce, John Longworth, the economy will achieve sustainable growth in 2014 if Britain becomes a “national incubator” for small businesses. However, small businesses can only get the wheels turning on the global economic recovery if they are run effectively. The global nature of business that the internet has introduced means companies can sell their wares to the world from a base location, and that speaking with and meeting clients, customers and suppliers in other locations is becoming much more common. While many businesses have turned to virtual meetings in the wake of the economic crisis, meeting clients face-to-face, wherever they are in the world, is not only lucrative to the company itself but also a bonus for the wider economy. According to a report from the World Travel and Tourism Council entitled Business Travel: A Catalyst for Economic Performance, business travel dramatically ramps up global corporate productivity, yielding a return on investment of 10:1. It also highlighted that if business travel were cut by 25% over two consecutive years, global GDP would be 5% lower than would otherwise be the case after a five-year period. Business travel is also of the utmost importance to the business itself. The majority of international travellers feel it is “very” or “extremely” important to travel to international subsidiaries in order to expand business in international markets (70%) and to invest internationally (65%). What’s more, global business travellers estimate that a face-to-face meeting can convert around 50% of their prospective customers to new customers, compared with 31% without such a meeting. Small businesses are constantly on the lookout for new custom to provide them with the funds they need to expand their product portfolio, services and team. 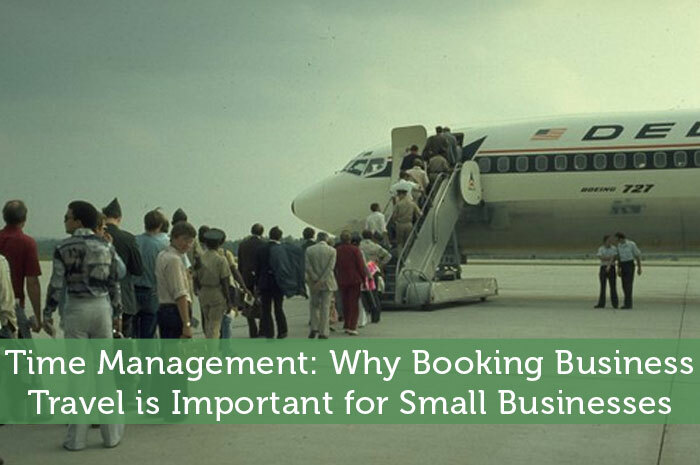 Therefore, corporate travel is not an opportunity growing businesses can afford to miss. Running a small business is very different from the way in which larger corporations can work. Constraints on time and limitations on budgets and manpower mean that effective management is a prerequisite for success. A large company will have dedicated staff for each role but in a small business you can find yourself being a bookkeeper, manufacturer, salesperson and the one responsible for purchases and acquisitions too. Being your own travel agent is just one of the many hats you might have to wear running your own small business. When it comes to time management, knowing how to book flights can be a steep learning curve. Not only is there the question of packing as much in as possible in a small time frame, but the management of the financial aspects can also be difficult. When you’ve organised a few business trips, you’ll find that the process not only becomes quicker but also that you’ll know which airlines and accommodation best suit your needs and budget. Using the same services repeatedly means you and your staff are in familiar surroundings wherever you are in the world – and you might even be in a position to negotiate prices after a short time. Finance-wise, using business cards is one sure-fire way to keep things under control. Not only can you use large outlays such as air fares and hotel costs to earn rewards but you can also earn extra rewards simply by using your card. What’s more, having access to 24 hour customer support while you are on the road can be of far more practical use than simply just giving you extra peace of mind. One of the benefits of booking your own business travel is that your schedules and itineraries are completely under your control, which means you have the flexibility to pack in as much as you need to get the job done – or the deal sealed. Alternatively, you could outsource travel organisation to a travel management company (TMC), which will relieve you of the stress and give you precious time to work on other aspects of the business. Time is one of the most valuable resources for any small business, so careful management when it comes to travel or any other aspect of the company is a crucial strategy for success. I used to work for a small business and I was in charge of all of the bookings. I was amazed at how much a small firm could spend each year on travel. I used to put all of the business through a local travel agent. I was making him a fortune! He certainly relied on a lot of small business bookings, not just your usual holiday-makers.